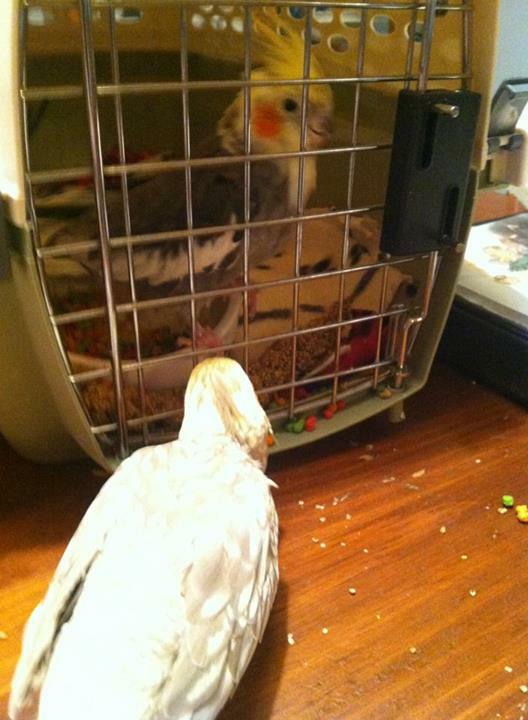 Thorin Cockatiel: Older Birds Make Great Friends Too! 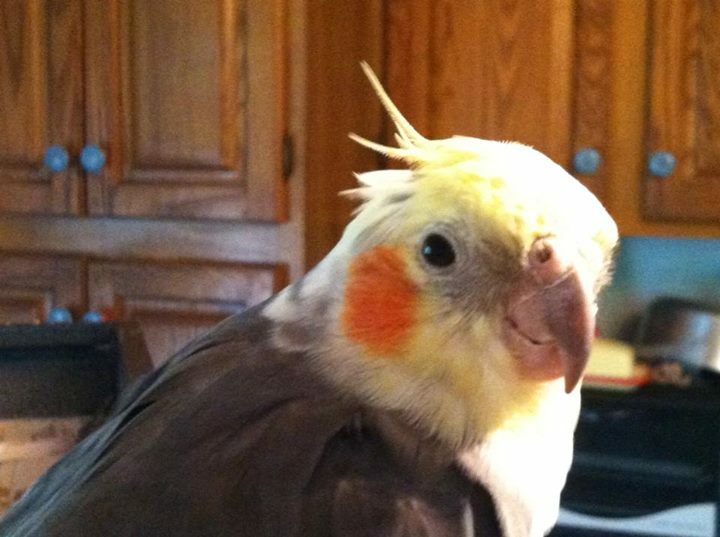 Hi, I’m Thorin Morkenshield and I’m a 13 year old Cockatiel. I lived with a family for a twelve years, but when my mate passed away, the family decided they couldn’t take care of me any more. They brought me to the MSPCA at Nevins Farm and I was really sad. I missed my home and my mate and I was confused as to why I had been brought to an animal shelter. The MSPCA at Nevins Farm is a nice place for birds who haven’t got homes of their own. While I was living there, I found some new human friends who took care of me and gave me love and attention. They brought me treats and gave me toys to play with, but I didn’t feel much like eating or playing. I still felt pretty sad. 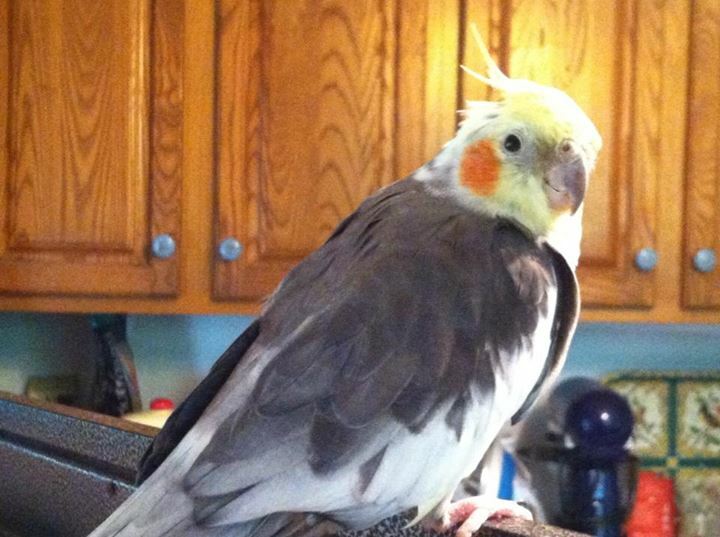 Thorin when he came to Nevins Farm, looking very thin and sad, with dry, brittle feathers. One of my new human friends at the shelter thought that if I made friends with another Cockatiel, it might help me to feel better. The humans really wanted to see me get my appetite back, too. My human friend had a nice female Cockatiel at home, and she thought we might get along well. Thorin meets Arya, his new best friend. Arya is a nice girl and we got along right away. She didn’t mind me coming to live with her and I felt happier than I’d felt for quite a while! I even found my appetite! It turns out that I’m quite a hungry bird, when I’m feeling well and happy! 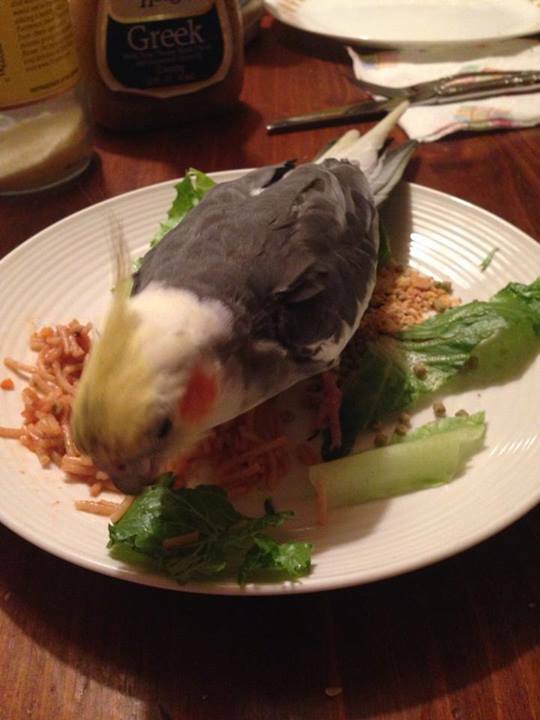 Thorin enjoying pellets, pasta and salad for dinner. He’s a great eater now! Since Arya and I hit it off so well, I got adopted! We’re inseparable now, we eat, play and even take our showers together. We play in and out of each other’s cages and I don’t even mind sharing millet with her. I think she’s really pretty, too! Sometimes I even sing to her! 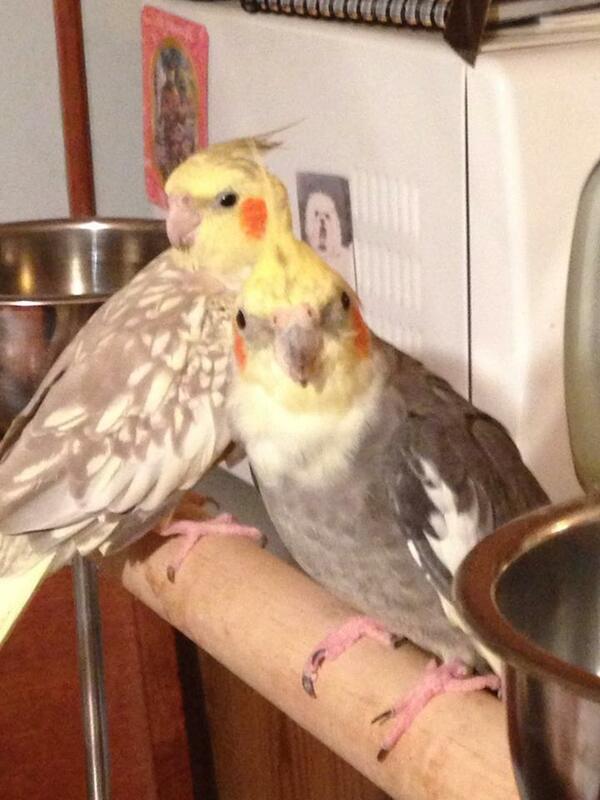 Thorin (front) shares a perch with his new best friend, Arya. My new home is a nice place to live! I love to sit on my Mom’s shoulder and ride around the house, or just hang out and read or watch TV. I read over her shoulder and I’ve found that I really like fantasy novels. I also like to perch on my Mom’s MacBook and I’ve recently learned how to type. I’m a pretty clever bird! Thorin looking happy, healthy and handsome! There are 4 of us birds here altogether and my humans take good care of us. 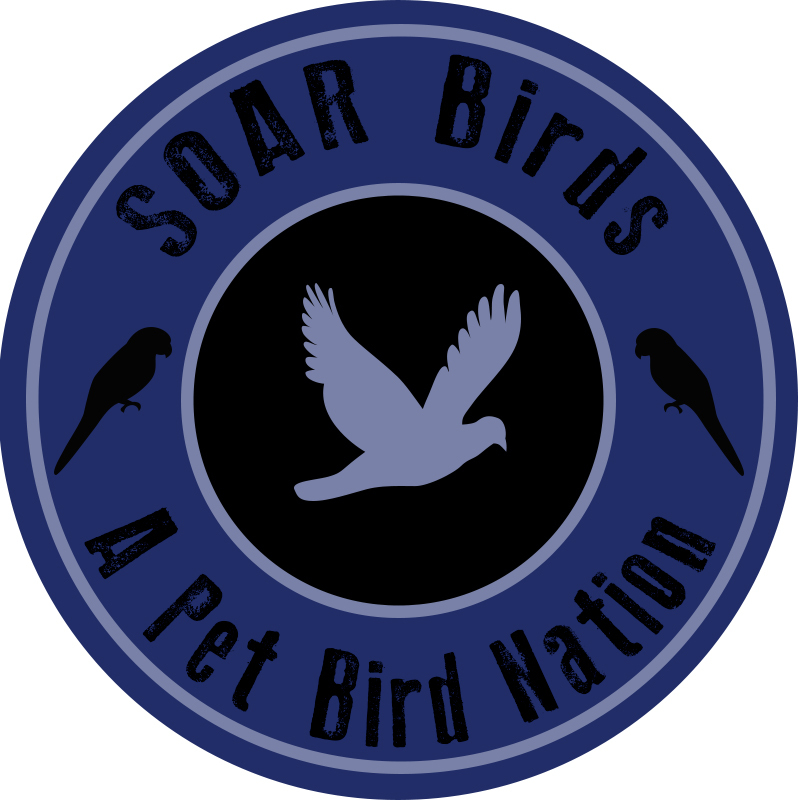 I went to the avian vet and she said that I may be 13, but I’m becoming really healthy. I feel very young! They give us lots of love, tons of toys and plenty of tasty food. I found out that I like cookie crumbs, salad, nutriberries and lots of other treats. My Mom says that Christmas is coming, and she bought me a stocking! I can’t wait to see what I’m going to get! I’ll keep you posted! If you’re looking for a new best friend, don’t forget to consider older birds like me. We need homes too, and we still need lots of love. Arya is a young bird, but we get along so well, our age difference isn’t a big deal at all. My Mom says I’m really fun and I’ve got a great personality. She loves it when I whistle at her or ask her “Whatcha doin?”, and she really likes my singing. 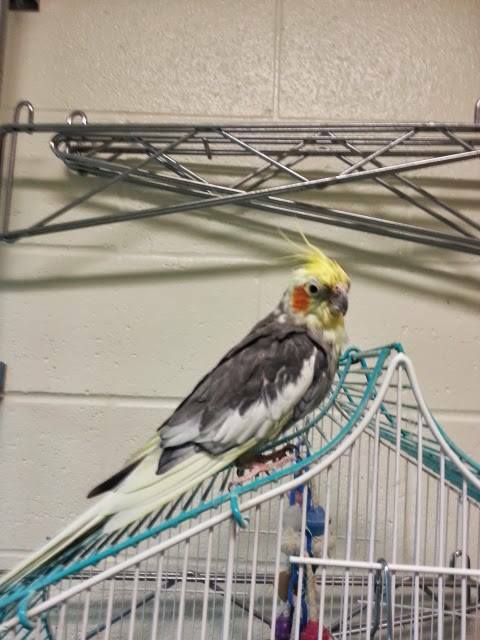 Next time you go to visit your local shelter or rescue, be sure to check out the older birds. You might find your new forever friend!